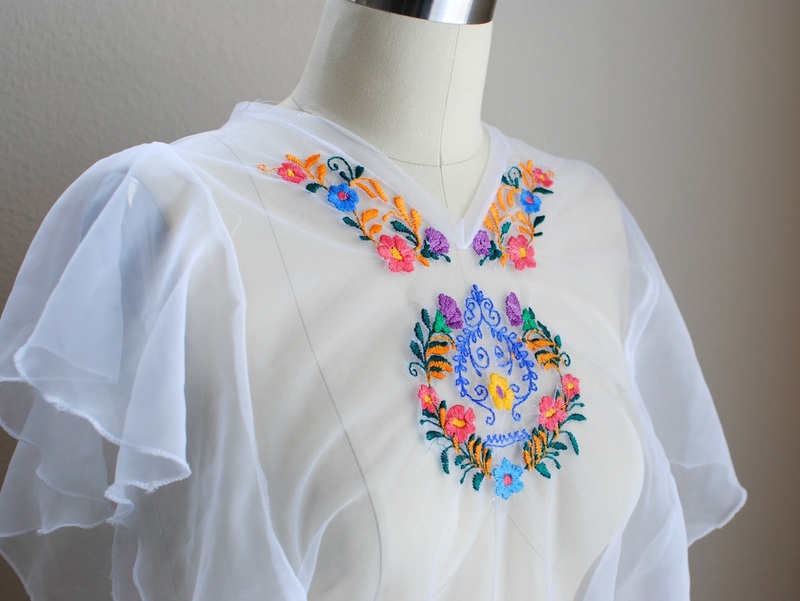 This is the second project we did with Sulky on embroidering with sheer lightweight fabrics (chiffon, organza, tulle, silk, challis, etc) here. You will want to head over to this first post to see the initial steps and refer to the video we did here. For the sleeves on this design we did a flutter sleeve. 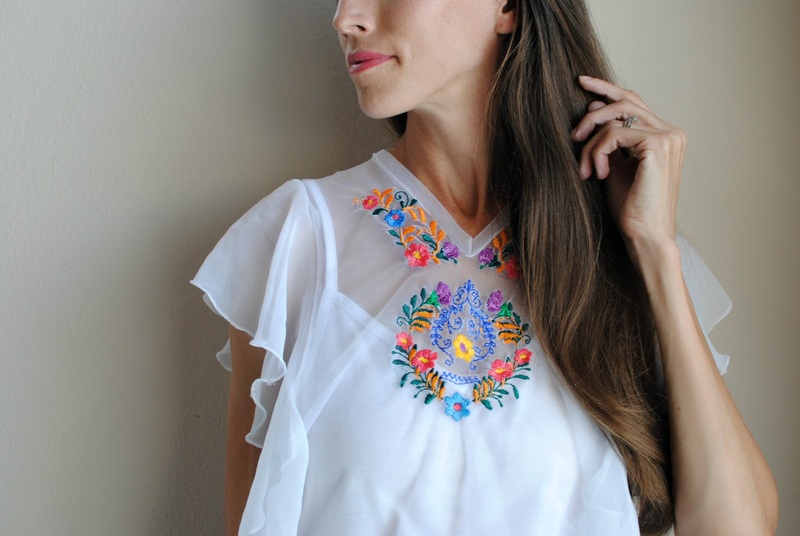 A flutter sleeve is basically a flounce. 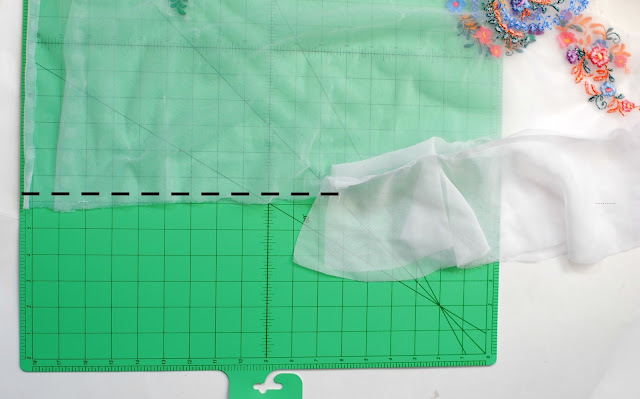 To figure out the measurement for a flounce check out this post here or just free style it. Refer to the first post for the initial pattern. Then alternate the straight sleeve for the flounce sleeve. 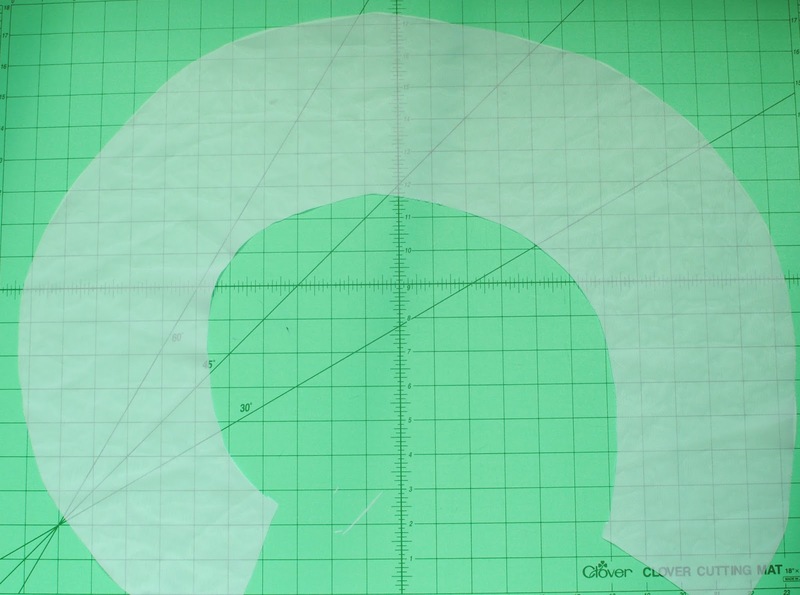 Create a pattern that is rounded and cut at the fold. You can even do a full circle. 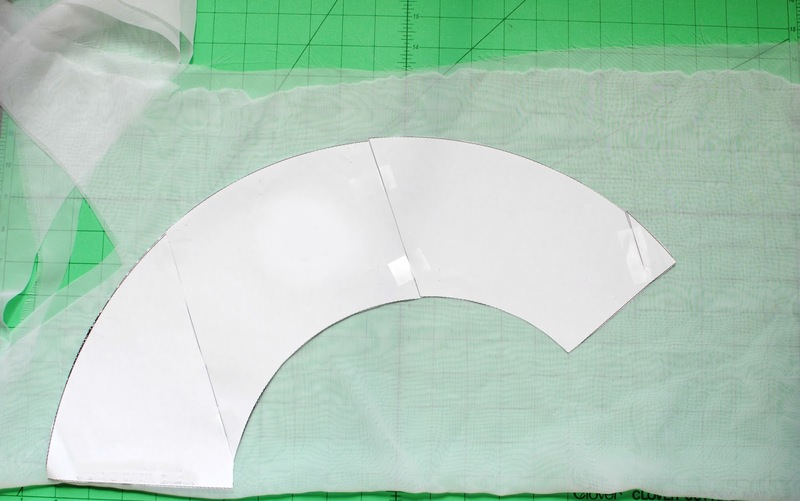 Use a rotary cutter and cutting mat for precision. 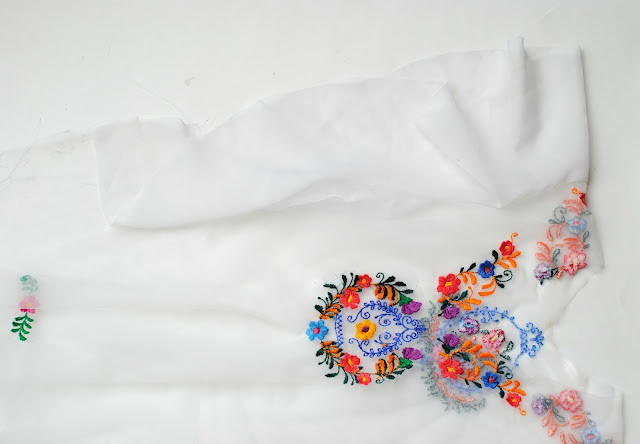 Pinning and cutting with sheers on slippery fabric like organza can be difficult. Place right sides together on your front and back pieces that should be sewn already at the shoulder seams. Sew along the arm holes with a 1/2 inch seam allowance. It would look like this on the right side if done properly. 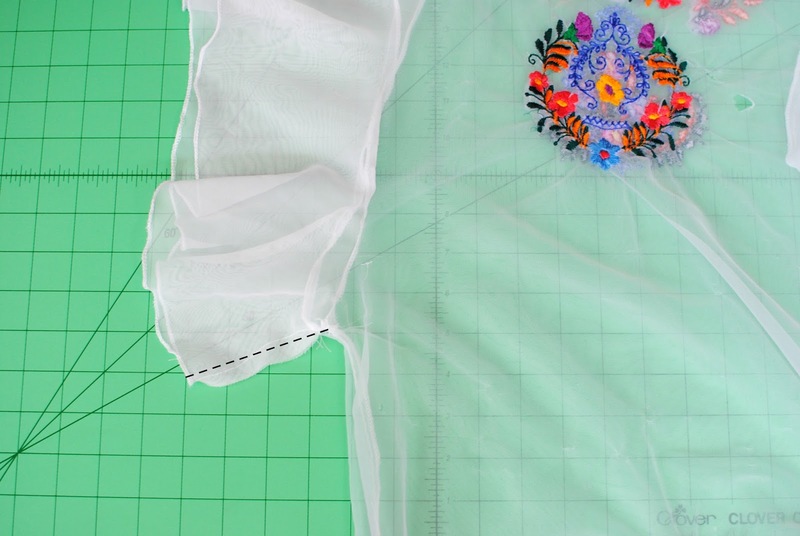 Now sew up the sleeve seam so the finished edge will lay on the outside as shown on the dress form. To finish the edges I used my overlock machine and did a rolled hem. I also serged the inside to prevent fraying. 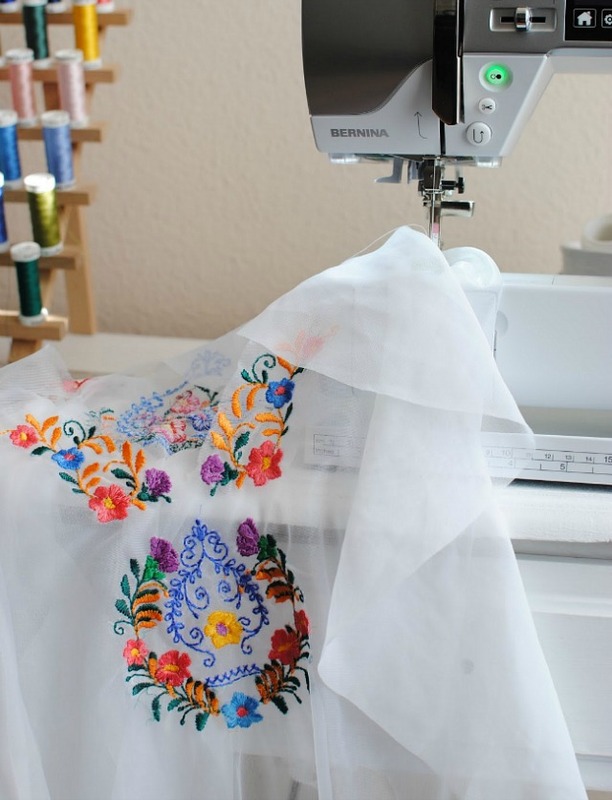 You can use a zig zag stitch if you don't have a serger for the inside and a rolled hem for the edges with your sewing machine. For the collar I made binding using a strip that measured 2 inches in width and the length of the collar opening. 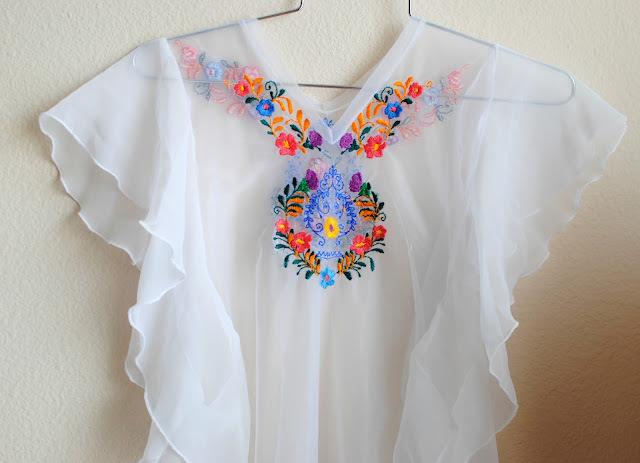 The bright colors chosen for your embroidery are eye catching and beautiful. Window are mostly used in operating system,and microsoft provide the different setting option or functions,so window 10 are high recent version,users not easily to change any setting in pc windows 10 settings so if you want to change ant setting in window 10 pc,like that how do i change internet and downloading setting,finally click this site.